Vermentino is perhaps my favorite Italian white grape. Especially well known as grown in Sardinia and along the western Italian coastline, this very fragrant grape entices the senses, particularly when fresh seafood is in on the mix. A new venture between the Franceschi family of Montalcino, Italy, and the Terlato family of the United States, (which has imported Franceschi’s Brunello Di Montalcino wines for decades) is now a reality. 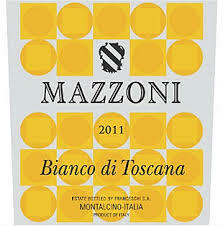 75% Vermentino plus 25% Chardonnay makes for a fascinating Tuscan blend. Vibrant yellow color with amber tints. Intense nose of lemon grass, green apple and fresh herbs. There’s a mineral aspect, along with icy, steely notes that make the mouth water. Bracing flavors are racy, with apple and melon suggestions that initially feel smooth, followed by a crisp yet polished bite on the long finish that guarantees refreshment. Drink now-2014. 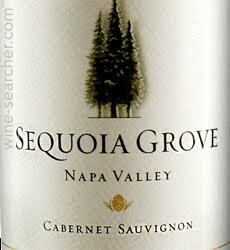 88/100 points Napa Valley’s Sequoia Grove Vineyards, whose evocative name has adorned its spare wine labels since 1978, has always featured Cabernet Sauvignon. Estate-owned fruit now constitutes 80% of its production. This includes, for the first time in 2010, parcels from their 50-acre Tonella Vineyard located on the Rutherford Bench. Whether or not this is key, their current release – from the long and tricky 2010 vintage – has produced a supple wine with delectable fruit. Beautiful, saturated Italian plum color. A richly textured nose of pure grape essences with sustained depth and “sweet” overall impressions. The spicy berry and pomegranate elements are attractive and calm, with lilting suggestions of Marjoram and Sage. In the mouth the wine is generous yet gentle, where blackberry, currant and velvety chocolate notes dominate. Fine tannins promise short-term development. Drink now-2018. 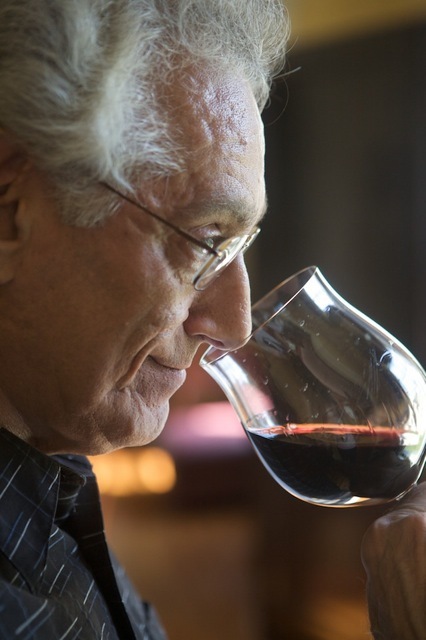 Duckhorn Vineyards makes special wines. For years, their Three Palms Merlot was the ultimate collectible with wine connoisseurs . I remember a couple fighting over ownership during a divorce proceeding! But like many shining stars, some critics began to question the overall quality in the first years of the new millennium, perhaps taking into account the not insubstantial prices? I remember visiting the estate in 2005 and being bowled over by all of their current releases – and said so in my subsequent reviews – from 90-94 points. But here is a case in point about critics in general: we’re not always right, and sometimes not even close! Both Wine Spectator and Robert Parker’s Wine Advocate gave a decent score of 87 points to Duckhorn Vineyards 2002 Napa Valley Cabernet Sauvignon (25th Anniversary bottling). So, for a $65 suggested retail price, many customers unsurprisingly shied away. But if you know a winery, if you love what they do with a certain bottling year after year, that is the best advice you can possess. Trust your instincts! Most Duckhorn reds need some time in a cellar to be at their best. But, in the case of the aforementioned wine, it tasted like nobody’s business at my dinner table the night before last! A dark but evolved garnet color. Brooding, smoothly muscular nose of raspberry, black cherry, smoke, chocolate, leather, truffles and spice. The mouth texture is dense but silky with currant, blackberry and lush chocolate notes, plus a dusty yet rich, fleshy finish. Balance is perfect as is the lengthy aftertaste. Could not be better 11 years after the vintage date. Can still be found at auction and at some retailers for about its release price. Drink now.